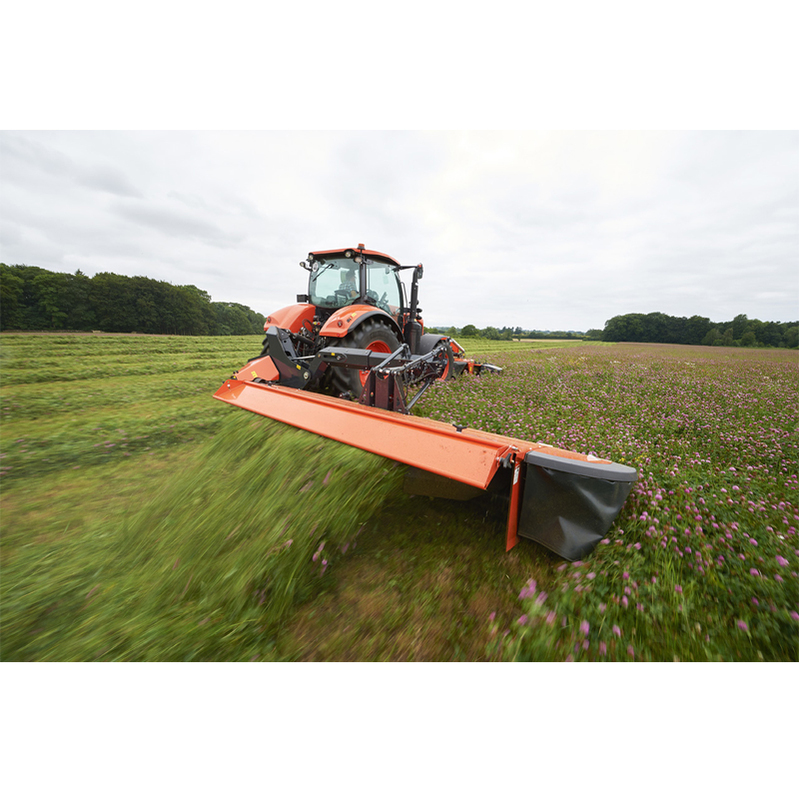 Mounted mower conditioners with the new innovative QuattroLink suspension concept. 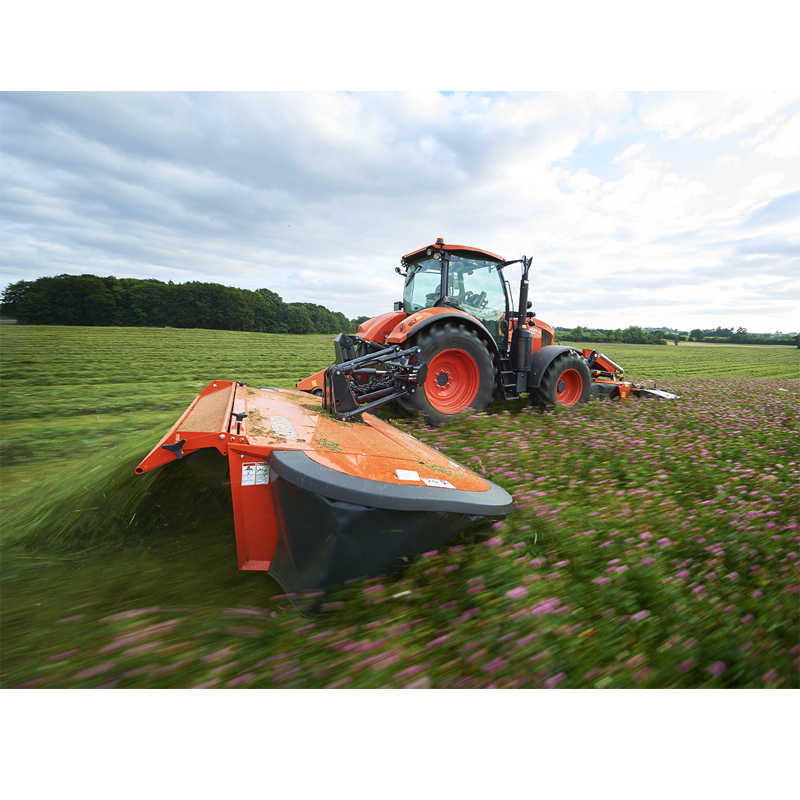 The DMC6300 series from Kubota feature the new innovative QuattroLink suspension concept. 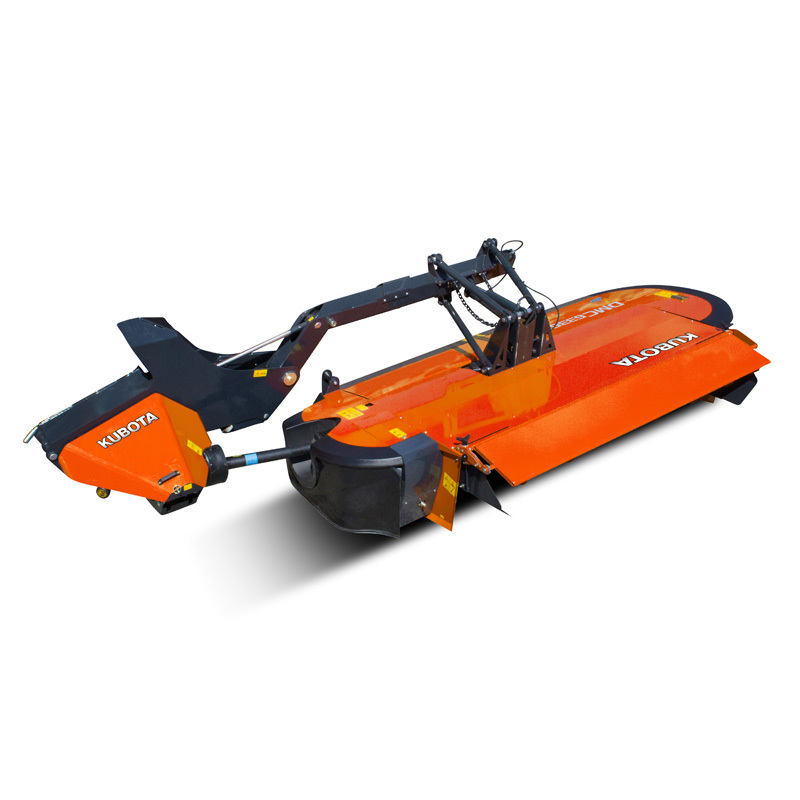 With its precise ground following ability and flexible working range this machine offers excellent capacity. DMC6332T and DMC6336T are available with SemiSwing steel tine conditioning and the DMC6332R is fitted with rubber roller conditioning. 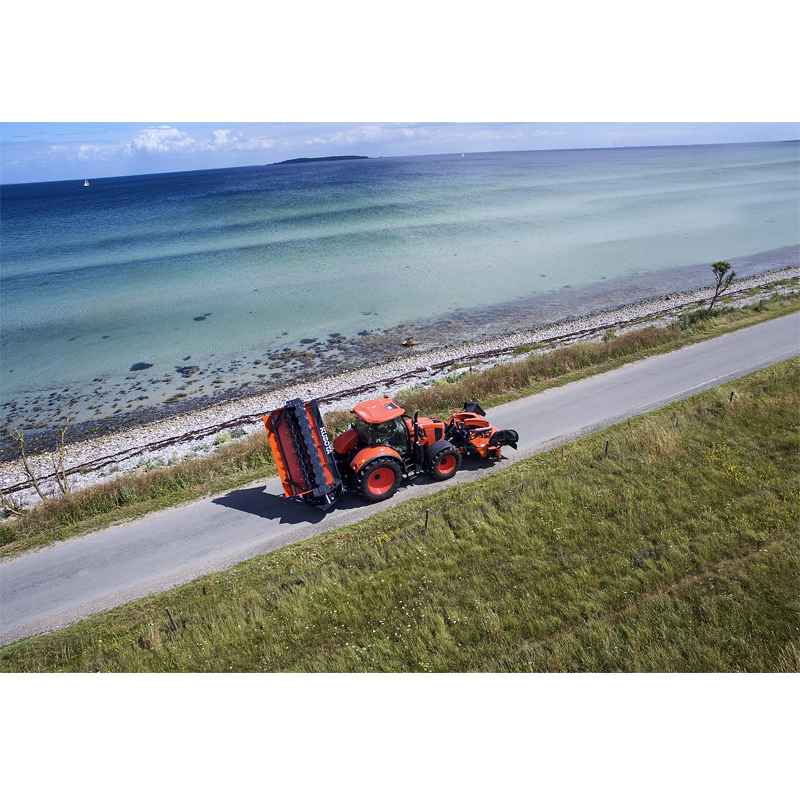 DMC6336T Vario is fitted with hydraulic SideShift integrated into the carrying arm. 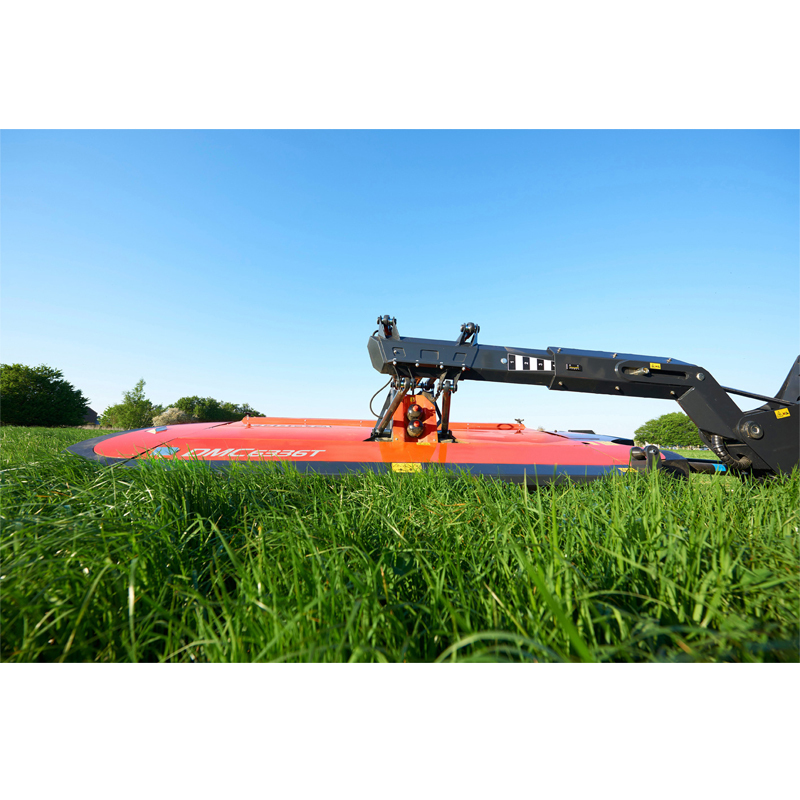 This allows the mowing unit to move 400mm. 3.18 and 3.50m working width. DMC6336T Vario with 400mm hydraulic adjustment of overlap. Dual adjustment of conditioner hood – both front and rear end can be adjusted.